Create your own color toner pack / bundle for your Samsung CLX-3160FN with our flexible quantity discount pricing. Mix and match products so you are only purchasing what you need, but also maximizing your savings. Compatible Cyan Toner Cartridge with 1,000 page yield. Equivalent to Samsung part number: CLP-C300A. Fits the following model(s): Samsung CLX-3160, Samsung CLX-3160FN. Compatible Magenta Toner Cartridge with 1,000 page yield. Equivalent to Samsung part number: CLP-M300A. Fits the following model(s): Samsung CLX-3160, Samsung CLX-3160FN. Compatible Yellow Toner Cartridge with 1,000 page yield. Equivalent to Samsung part number: CLP-Y300A. Fits the following model(s): Samsung CLX-3160, Samsung CLX-3160FN. Compatible Black Toner Cartridge with 2,000 page yield. Equivalent to Samsung part number: CLP-K300A. Fits the following model(s): Samsung CLX-3160, Samsung CLX-3160FN. Buy our high quality compatible toner for Samsung CLX-3160FN with confidence. Join thousands of happy customers who have found our compatible products are equivalent in page yield and print quality. For our compatible products, we offer a 100% Satisfaction Guarantee allowing you to return products within 6 months if you are unsatisfied. 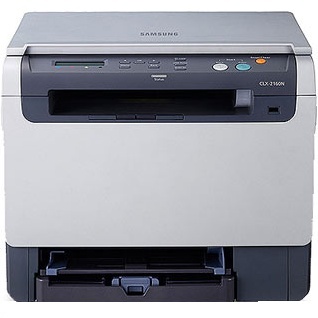 The Samsung CLX-3160FN is a multifunction color laser printer that includes more functions and features than you would expect in a design that is extremely compact. It can print, scan, copy and fax while still being small enough to fit on most desktops. 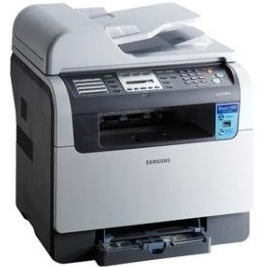 Its price is affordable, as is Samsung CLX-3160FN toner, making it a very economical choice. Print speed is up to 16 pages per minute for black and 4 pages per minute for color. A first page out time of around 14 seconds means less waiting for jobs to begin printing. Automatic duplexing is not supported, but manual duplexing is possible, and the menu or software both guide users through the process of re-feeding the pages. Faxing transmission speed supports Super G3 transmission up to 33.6 Kbps for fast sending and receiving. Scanning supports an interpolated resolution of up to 4800 dpi for sharp quality scans. The 50-sheet automatic document feeder makes it easy to quickly and efficiently scan multiple pages at a time, and there is a flatbed scanning surface as well for items that are too large to be fed through. Input paper capacity is 150 sheets, with a manual bypass tray that can hold 1 sheet at a time. Multiple media types are supported, including card stock, transparencies, envelopes and plain paper. Samsung CLX-3160FN toner cartridges have capacities of 1,000 pages for each color and 2,000 pages for the single black cartridge, which means less time spent replacing toners. 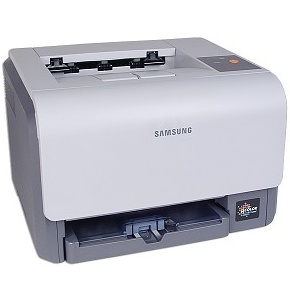 The low price of Samsung CLX-3160FN toner cartridges makes the overall cost of printer toner very low. Buyers can save even more by using third-party compatible Samsung CLX-3160FN toner. The Samsung CLX-3160FN will make a great choice for the small or medium office that needs its laser multifunction features but doesn't need to support a large number of users. Its fast speeds and excellent print quality are impressive.